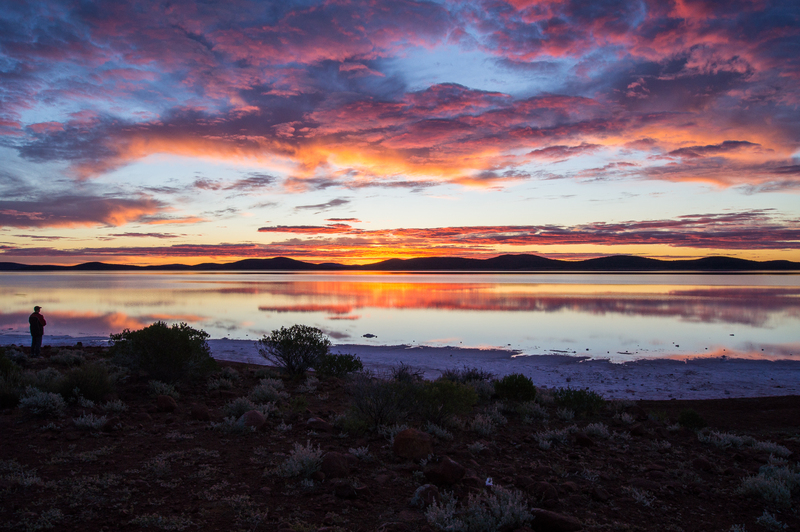 A photo of sunset at Lake Gairdner in the arid Gawler Ranges of South Australia. When flooded the Lake becomes the fourth largest in Australia at over 160 km in length. This is a phenomenal sight given that the region is totally devoid of any free water, surface water and groundwater for the majority of the year.